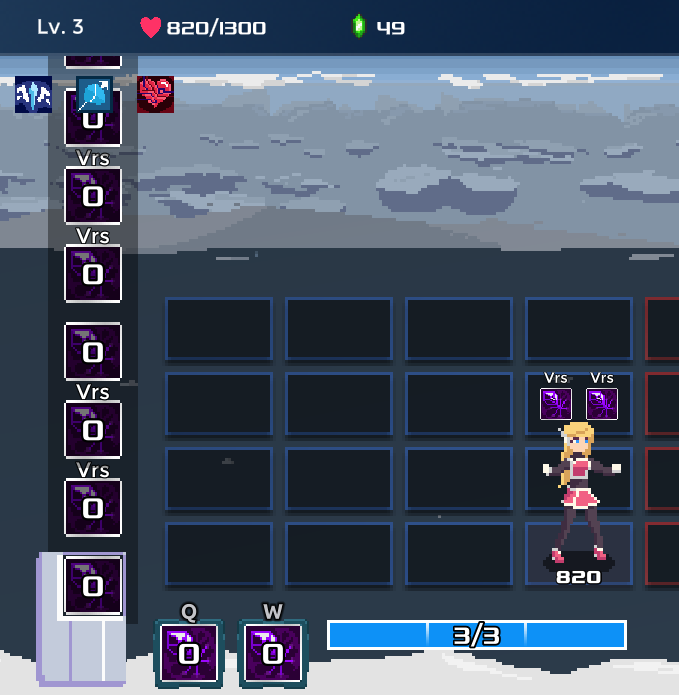 One Step From Eden is a fast-paced deckbuilding roguelike game with real-time grid combat, inspired by the likes of Mega Man Battle Network, Slay the Spire, and Faster than Light. It’s a game currently in development by Thomas Moon Kang, @thomasmoonkang on twitter. Thomas has released a free demo for One Step From Eden on itch.io, which can be found here. 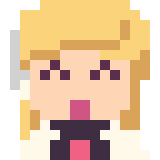 In the demo for One Step From Eden, you play as Saffron, an android-looking girl making her way through the Purgatory zone. You can move up, down, left, and right in an 8×4 grid of spaces, but the grid is separated into two halves, your side and the enemy side. You have a weak basic attack that you can rapid fire by just holding down the attack button, to get in some damage between your main attack, spells. You have a deck of spells, like lightning bolts and force waves, that you go through as you cast them, with access to the top two cards of the deck at the same time. Casting spells often requires mana, and mana recharges at a steady pace as you fight. When you run out of spells, your spells reshuffle into your deck for reuse after a few seconds. You can also manually reshuffle before running out, which can allow for some careful planning as to when and where you play your spells. Each area is a fight or challenge, set along a variety of paths much like Faster Than Light, guiding you to the end of the zone with a boss fight. The demo has four major enemy types, but with more difficult variations for the later zones, and a few unique boss fights. Clearing each zone earns you a new possible card for your deck, like laser cannons or giant swords, while defeating enough enemies will net you a level up, which grants a permanent passive upgrade, like boosts to health and mana, or increasing defense at the cost of increasing the time after shuffling before you get new cards. Customizing your deck of cards, how many spells and what spells you decide to pick and keep, and balancing that against what upgrades you choose, is a challenge in and of itself, but a fun one to be sure. The combat is quick, fluid, easy to learn, but difficult to master. Even with only four enemy types in the demo, keeping track of which variations you’re up against and their patterns can be a challenge to remember and dodge while managing your spells. Some enemies will fire projectiles that rain down on your zone, others will send slow-moving waves of ice that you’ll have to keep track of, and others will chase you around your own side of the field with wide, swinging strikes. Dodging around enemy attacks while carefully positioning your own strikes is thrilling to pull off, weaving in and out of danger to maximize your damage output while minimizing the damage you take. Some attacks patterns can get intense, and this is combat with a treasure chest! The demo only has one zone, with seven encounters and a pair of very challenging boss fights at the end. Even so, the rogue-like elements create random paths with varied enemies and rewards laid throughout, making each run through a small adventure to see what you’ll be put up against, and what spells and upgrades you’ll have in your arsenal when you reach the end. Some spells can even add more spells to your deck for a fight. The results can be… interesting. Altogether, One Step From Eden is a game I would recommend people keep an eye on, especially those interested in roguelike games and fans of the Mega Man Battle Network series. It’s set for a PC release sometime in 2019, with console releases estimated for 2020. Again, here’s a link to the demo for those interested. action, deck builder, grid combat, indie, mac, mega man battle network, one step from eden, pc, roguelike, thomas moon kang. Bookmark.